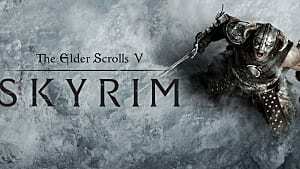 With the release of Skyrim Special Edition to the latest generation of consoles, as well as PC, I've been enjoying another crack at all the game has to offer. And now that consoles can also make use of some of the mods, I think it's the perfect time to share some of my character builds with my fellow roleplay enthusiasts. 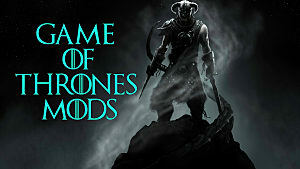 In addition to the mods I covered in my previous article, four additional mods are required for some of these character builds to work to their fullest potentials. 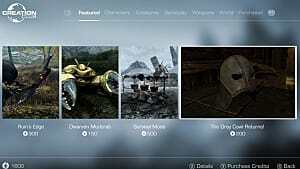 It's also worth noting that these mods can also be found on the Bethesda.Net launcher in-game. 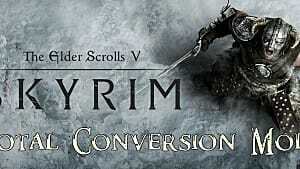 Ordinator - Perks of Skyrim: An amazing perk overhaul system. Really, one of the best out there. 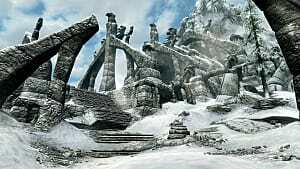 Apocalypse - Magic of Skyrim: This mod makes magic more than just empowered versions of the same ole' spells -- the biggest flaw of the vanilla magic system. Now you can play a truly fearsome mage, one who's able to freeze their foes solid, entomb them alive in an earthen prison or summon armies of the undead. 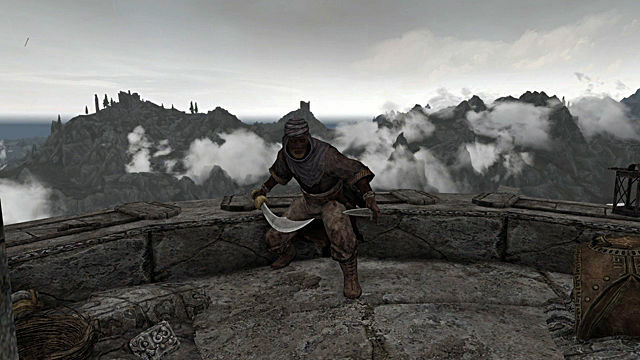 Imperious - Races of Skyrim: Imperious brings back those significant bonuses that games like Morrowind and Oblivion had for the different races in a very lore-friendly way. Argonians for example, have water breathing PLUS massive movement bonuses in the water. And Dunmer can summon an ancestrial spirit to aid them in battle. 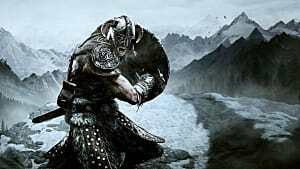 Thunderchild - Epic Shouts and Immersion: Makes the use of shouts more immersive and adds a greater emphasis on the importance and power of being Dragonborn. 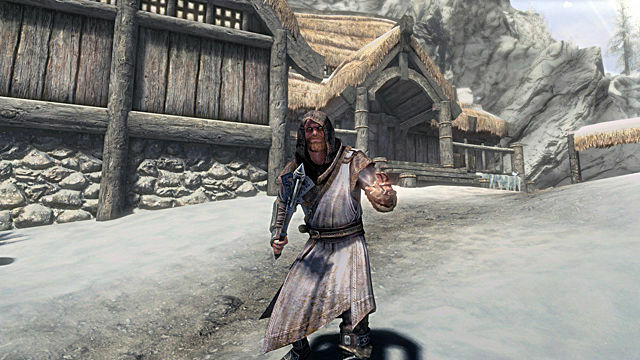 Garett is a competent fighter and destruction mage looking to fulfill his wanderlust in Skyrim, a land teetering on the edge of civil war. Growing up in a family of craftsmen and artificers, he is skilled in armorsmithing and a natural enchanter, weaving powerful magics into his weapons for added boon. Primarily a mace-user, he enjoys softening up his targets with fire spells from the school of destruction and boosting his abilities with spells from the school of restoration. Stat allocation - 2 Magic / 2 Health / 1 Stamina until LVL 20 - Garett relies heavily on a large magic pool to deal his otherworldly damage and has become hardier by focusing on heavy armor. Standing Stone - The Lord. Increased physical and magical resistance allows Garett to sustain his godly fortitude in any fight. 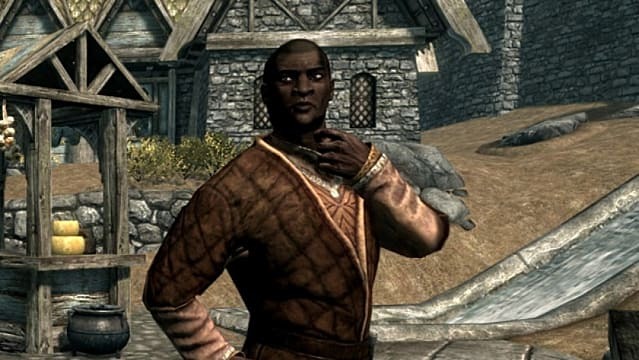 Originally, Raccan came to Skyrim to find a rat-fink traitor who was a bit of a narc, undermining the leaders of noble families in Hammerfell who funded resistance fighters against the Aldmeri Dominion. 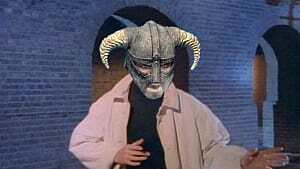 During his journies, however, he realized that it would be possible for him to carve out a nicer living by ending lives for The Dark Brotherhood. Taking his skills in Alchemy, Stealth and Illusion magics to the next level, Raccan observes his targets and plans the best approach -- leaving no trace behind. Stat allocation 2 Magic / 1 Health / 2 Stamina until LVL 20 - Raccan remains out of sight, making use of illusion magic as much as possible. But if he's found, he's not like other Illusion mages: Instead, he has a large pool of stamina to draw on in a fight. Standing stone - The Lord - The harsh life of growing up in the Alik'r Desert has made Raccan numb to most minor injuries -- physical and magical. Fenren began his life as a Vigilant of Stendar, born to parents of the order. From an early age, it was apparent that he was different. Though he rarely spoke, his actions told volumes of the strength that lived within him. After an unfortunate accident took his parents from him, he made a pilgrimage to the Throat of the World to honor their memory. Stats allocation - 1 Magic / 2 Health / 2 Stamina until LVL 20 - Fenren still wears his Vigilant of Stendar uniform in remembrance of his parents. Because of this, many would-be enemies misjudge his stout combat acumen. This would be unwise. Standing stone - The Atronach Stone - Fenren was never as skilled in magic as the other Vigilant, but was, all the same, more capable of manipulating it to his benefit. 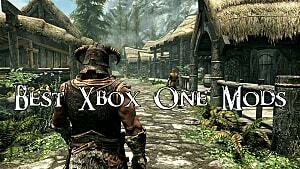 If you are using the mods I have suggested above, as well as those in my previous article about Skyrim SE mods, then you'll understand how unique these characters are. For example, on Raccan I took the Tripwire perk in the Sneak tree, which allows me to set up a trap for stronger enemies that my poison arrow might not kill instantly. Plus, what other Illusion mage is also an assassin, master trap-layer and combat-colossus? Or in the case of Fenren, the Speechcraft path of the Voice makes his shouts powerful and provides buffs to his base stats, setting him apart from other Graybeards. And the mace specialization of Garett allows him to crush enemy armor with each blow he lands -- plus he's a magical beast... I mean a hulk that can also wield magic and make badass weapons. Who doesn't love that? 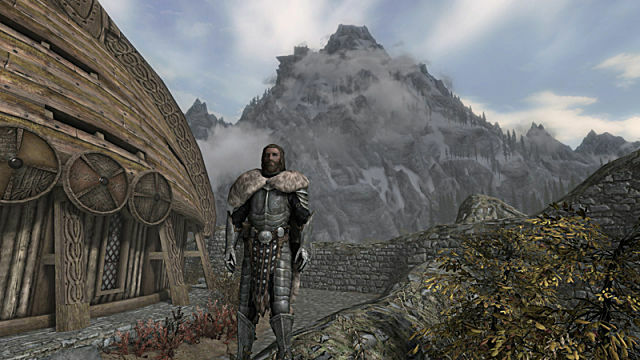 What awesome Skyrim SE characters have you dreamed up? Let us know in the comments below.